This post is very late in coming, but my Jersey Mike's was one of the last in the area to roll out their gluten-free bread. After I heard about some locations testing it, I started calling locations near me each month.... and each month they informed me that still didn't have the bread. I got tired of asking so when I remembered months after I'd given up to check again, I delightedly found out they had the gluten-free bread. 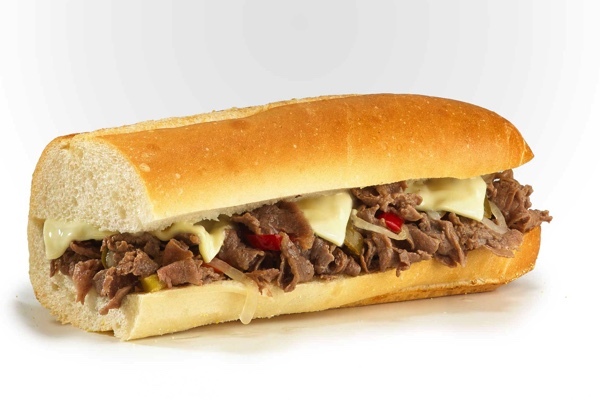 That day I had a gluten-free Philly cheese steak sandwich and have been enjoying them regularly ever since. The staff seems well trained on preparation for gluten-free customers which is not always the case. The bread is from Udi's and it's very good! In fact, it's so good that I didn't think I'd gotten a gluten-free sandwich the first time around. It's soft and really not very gluten-free tasting at all! While I enjoy amazing gluten-free items at home, I find many restaurants serve sub par items which is why I rarely heat pizza or pasta out anymore. If it's not amazing, I'm not going to overpay for it when dining out, period. Jersey Mike's offers two sizes of gluten-free sandwiches, but the regular is large enough for two meals for me. With the disappointing gluten-free bun at Chick-Fil-A and the now discontinued "not good at all" sandwich at Starbuck's, its so nice that Jersey Mike's got it right!